We believe access to meaningful learning opportunities is the biggest overall issue preventing our youth from reaching their highest potential. AdfabED provides the answer to a lack of Maker Space access with our Mobilemaker:ED Cart program. The program is intended for K-12 schools with restricted space, limited budgets, or procurement restrictions, this single stand-alone unit brings an entire Fabrication Lab to a school or community organization, in a footprint about the same as a laptop cart. The Cart is a compact maker lab on wheels, about the size of school laptop cart, with advanced digital fabrication equipment, a supply of making tools, and physical computing parts. The Cart enables project-based learning with the following on-board tools; Laser Cutter, 3-D Printer, 3-Axis CNC Milling machine, Vinyl Sign-cutter, PC Laptop, Corless tool set with; jig saw, drill, multi-tool, Soldering Station, Arduino Microcontrollers, Various Physical Computing Parts, Sewing Kit, Small Hand-Tool Set, and more. With its mobility, the cart can easily travel around inside a building or rotate to various campuses, which gives the ability to introduce a new learning approach to more students, at schools, libraries, and community centers. The Cart gives educators in a wide variety of situations and conditions, the tools to teach with hands-on, problem-based learning, and providing a platform for the exploration of the individual potential in all students. We work with educators in developing their comfort level with new technology hardware and software through a series of Professional Development workshops and extended technical support throughout the academic year. The Mobilemaker:ED program includes providing maker space facilitators to the schools and organizations, who then become the stewards of the curriculum introduction component and do this by creating a tailored integration infrastructure which includes both educators and administrators. Facilitators also provide direct teaching support for the students during the curricular project execution. We are currently taking orders for Fall Semester ’17. If you are in the states of New York, New Jersey or Pennsylvania, we are distributing through our partner Allegheny Educational Systems. Contact us to learn about the Cart’s complete inventory, specifications and the related curriculum programs available. 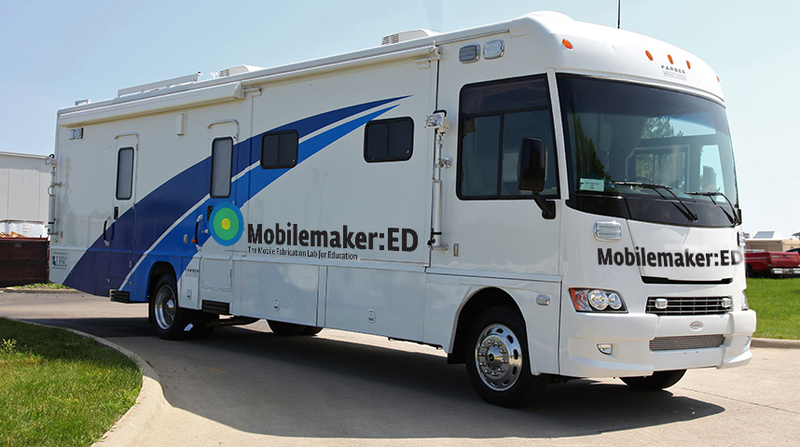 The Mobilemaker:ED Bus is a proposed program, designed as a complement to an existing classroom-based instruction inside a Public School, or an informal after-school learning environment. 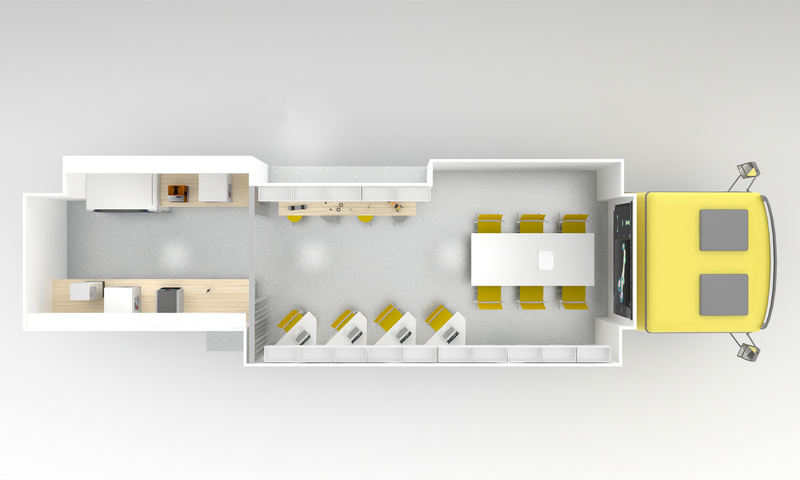 It is a university level design lab experience within a 40 ft. recreational vehicle, outfitted with representations of direct manufacturing in all major current additive and subtractive processes and provides a limitless platform for interest–driven problem-solving curriculum for grades 6-12. 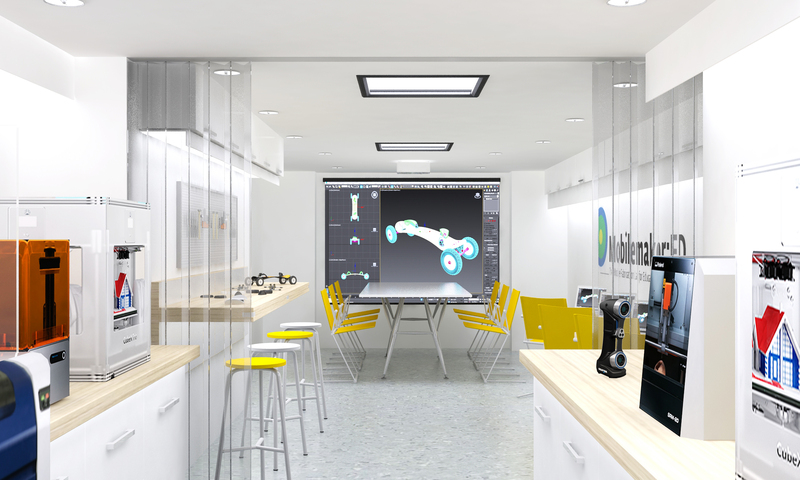 The fabrication equipment is supported with computer scanning tools and driven by design and modeling software at various skill levels. Additionally, we will support electronic system design and computer coding with physical computing modules. The program is flexible and can be utilized as an alternative learning tool, general curriculum enrichment, or dovetail into the Common Core Standards. With this rich lab experience, we are seeding the STEM curriculum to foster developing future career opportunities through early exposure to this new technology. Inherent to its design, the Mobilemaker:ED program delivers itself to the doorstep of neighborhoods in New York City, and we are currently working to bring this project-based learning to those who would not otherwise have these opportunities due to underfunding of schools, or cultural norms which limit travel beyond a home neighborhood, and truly support maker learning for all. 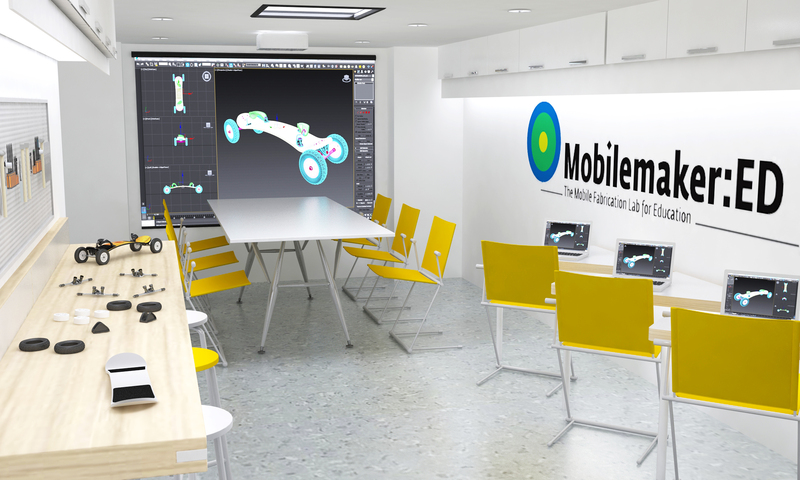 If you would like to make a contribution to further the development of our mobile lab projects, please visit our donation page. For general information please use our contact page to reach us by email.